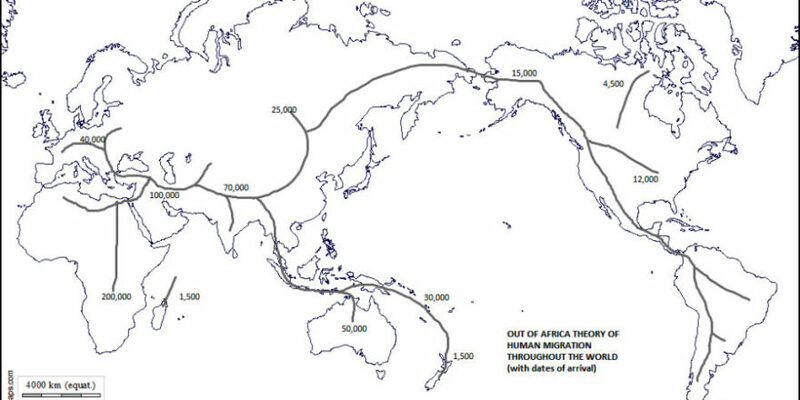 Every Out of Africa Theory has a few Africans stranded in Australia unable to return. Over the Next 5,000 years along the Northern Top End, then over the next 10,000 years spread further down both coastlines, past that point they gradually inch up the river system and finally into the interior, at least 20,000 years after entry. Now we have cruise ship full to the brim with enough Africans to populate the whole of Australia a few thousand years after entry. That doesn’t make sense. what also doesn’t make sense is Jim Bowler’s date of 80-90,000 years at Point Richie, the engraved saltwater crocodile at Panaramitee, (that Josephine Flood insists ia at least 75,000 years old). At Lake George the evidence of human occupation varies between 60-120,000 years. All this Study does is confirm a date when Original people were in this country, everywhere, fully established, it does not tell us when it began but only confirms of a date well after when the whole nation was fully settled. Unless of course the experts are wrong and it was a flotilla of African boats that sailed here, either way the science in this country is all over the place. What would be interesting is finding a date for the new strand of DNA found only in Original people which is not found in any other racial group. Since it is assumed that once the Original people got here they never left, does that mean this mysterious hominid group also sailed to Australia. I noticed this study didn’t factor that into their deliberations nor did they include some of the sites we have mentioned.